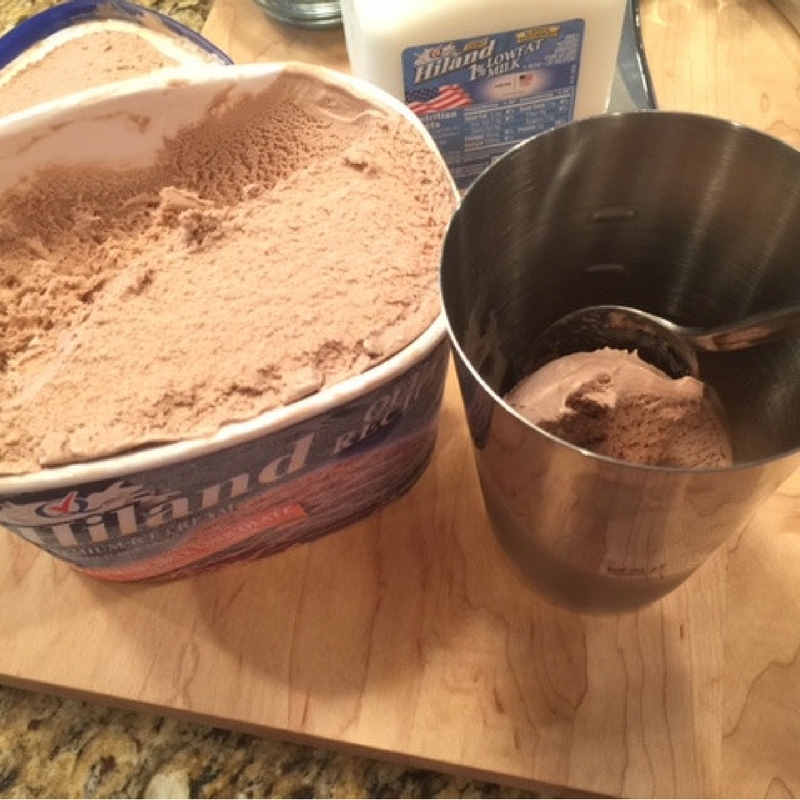 Scoop three heaping mounds of ice cream into a drink mixer. Tip: It’s OK to mix this by hand if you don’t have a mixer. 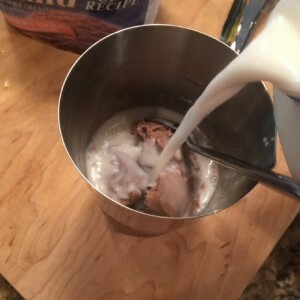 Pour in 1/2 cup of milk. 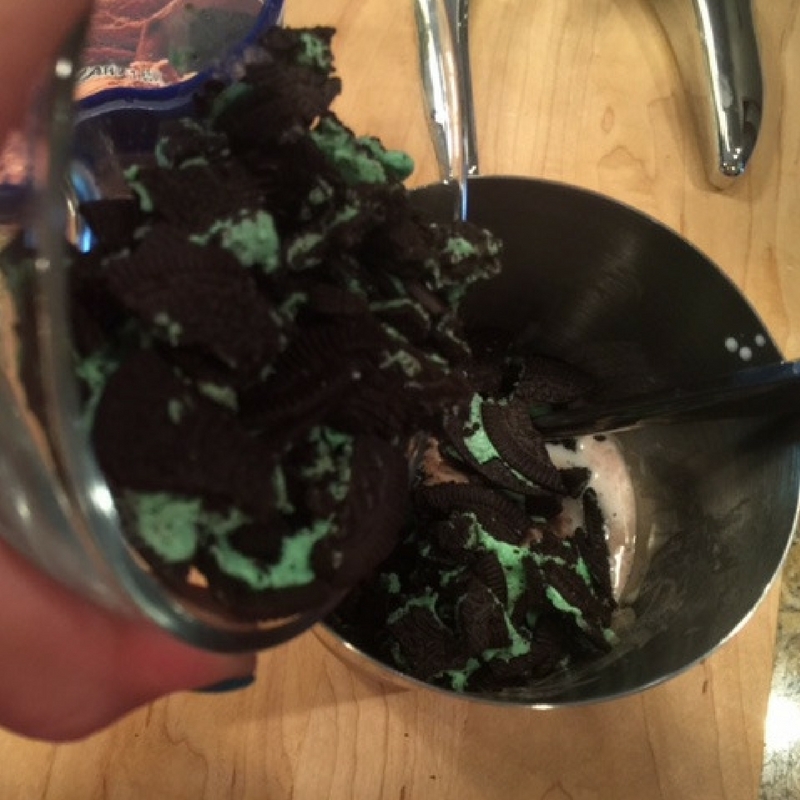 Add 1/2 cup crushed cookies. 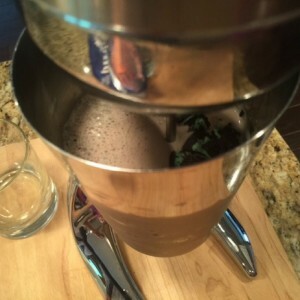 Tip: Throw in more crushed cookies if you like your shake extra chunky. Top with whipped cream and cookie crumbles. 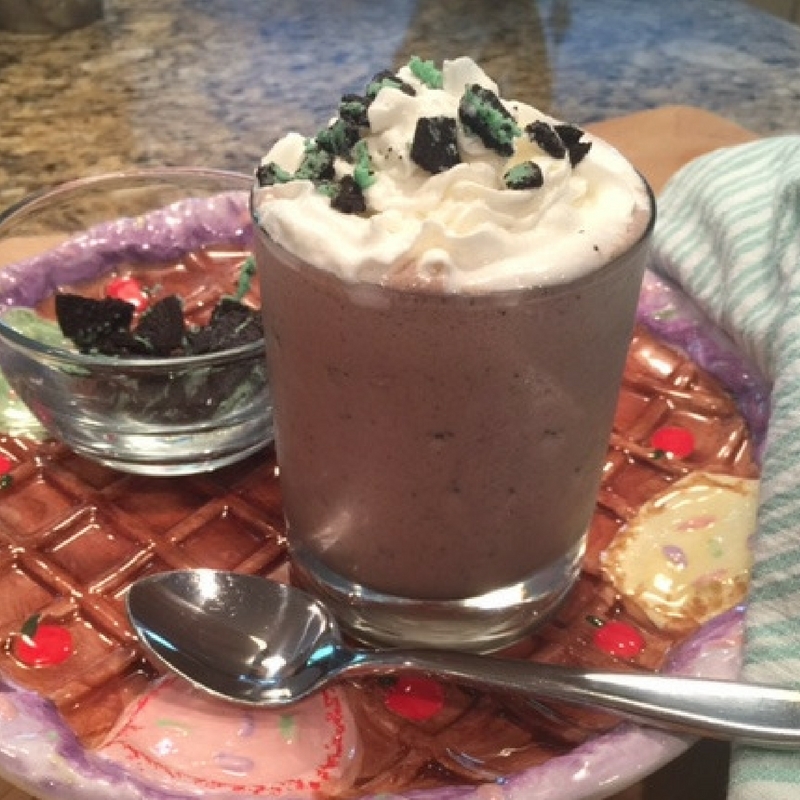 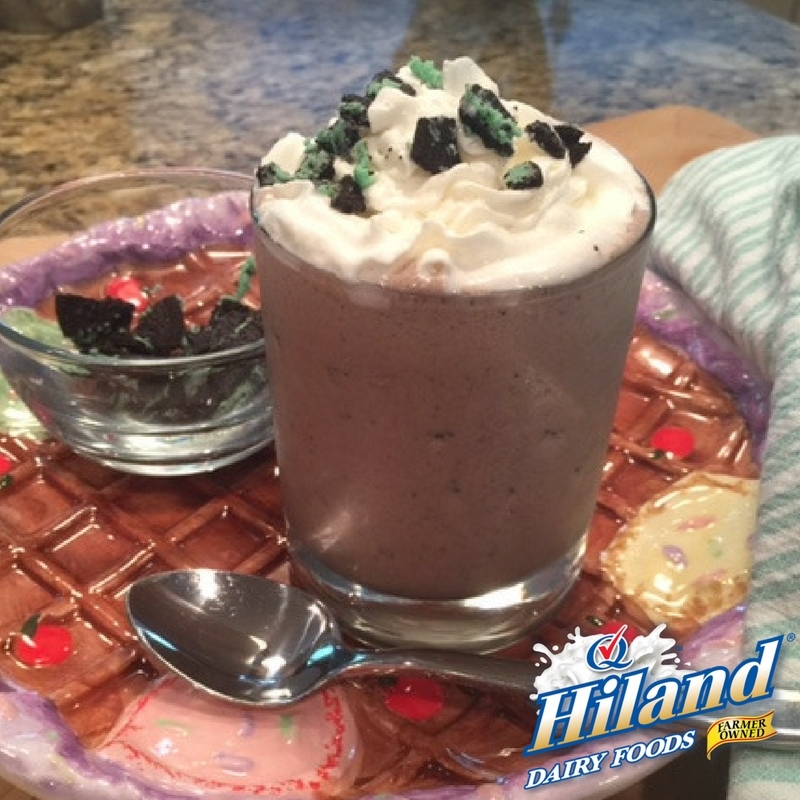 You can also use Hiland Dairy Old Recipe Real Vanilla Ice Cream with chocolate syrup. 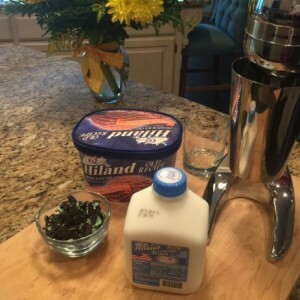 It tastes great!